Join Dickens expert Richard Jones (author of Walking Dickensian London and writer and presenter of the documentary In the Footsteps of Charles Dickens) on a fascinating journey that will reveal an all too human side to England’s greatest novelist, and which will explore the traumas, tragedies and betrayals that both shaped him as a person and which, ultimately, fuelled his genius. When we first encounter Dickens he will have just turned twelve years old and will be struggling to come to terms with a major crisis as all the securities and certainties of his childhood have come crashing down around him. His father, John Dickens, has been arrested for debt and has been locked up in the Marshalsea Prison. Young Charles, however, has been sent to work at a blacking factory, the site of which we will visit a few short steps into our walk around Dickens London. Here, the sensitive boy, who genuinely believed he was destined to become a gentlemen, must not only come to terms with the trauma of his father’s incarceration, and the sudden loss of his childhood, but he must also keep his feelings of abandonment well hidden from the rough and ready men and boys with whom he now finds himself surrounded. Standing on the very spot where young Charles faced up to this predicament, we look at how he coped with it whilst, at the same time, considering how it affected him. We will ponder how it became the first of many secrets that he kept hidden and repressed - even from his own wife and children - for many years. Indeed, the full story of this troubled period of his life did not become general public knowledge until after his death in 1870. From his formative years we take a stroll into his future as we find ourselves walking along the street that Dickens - now a successful and famous novelist, was walking one foggy night in late 1843, when a particular door knocker suddenly caught his attention. 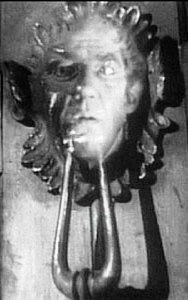 The momentary glimpse he caught of it, scowling at him through the fog, gave him the idea for the memorable scene at the start of A Christmas Carol when scrooge fancied he saw the face of his dead partner, Jacob Marley in his own door knocker. We discuss how, in the writing of A Christmas Carol, Dickens began revealing clues about the ghosts of his own past and we reveal how people he had known, and who had been, and, in several cases still were, dear to him were portrayed in the book. Next, we make our way back to the beginning of Dickens writing career, as a newly founded publishing company approaches him with a special commission which he, quite simply, can't refuse. Almost immediately one of Dickens more disturbing traits, his absolute need to control those around him, begins to surface and brings him into direct conflict with the projects originator, with tragic consequences. Yet from the betrayal and tragedy there emerges a gloriously comic novel that establishes the reputation of the young Dickens and sets him on the road to literary fame and fortune. Our journey through the secret lives of Dickens then follows in the footsteps of his most autobiographical character, David Copperfield, as we make a literal descent back into Dickens troubled childhood. 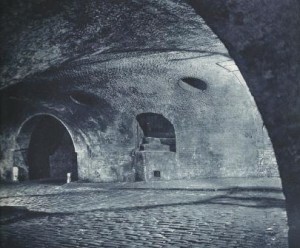 Here we stroll through a series of subterranean arches that, as a boy, Dickens had loved to explore and which, as he has Copperfield explain, he found to be a mysterious place indeed. The fact that some of these arches have survived since Dickens boyhood makes for a pleasant surprise. Indeed, it doesn't take much imagination to picture the young Charles Dickens ducking in and out of the corners and recesses, absorbing every detail of his surroundings, and noting the characteristics of the shabby genteel folk he mingles with in this sordid world of dark and sinister shadows. Resurfacing, we take a walk along Strand where we join Dickens for a theatrical diversion. Although Dickens loved the theatre, he was often left furious by the activities of unscrupulous theatre managers who would often stage pirated productions of his works. What annoyed him most was the fact that these performances often tried to pre-empt the, as yet, unpublished endings to his novels. However, Dickens being Dickens, he would often attend these plagiarised productions where he would, on occasion, show his disdain for a substandard performance by lying down and going to sleep in full view of the audience! Having passed an elegant restaurant, at which Dickens regularly dined,we make our way to the street on which his offices and private rooms were located throughout the 1860's. By the time he moved here Dickens had separated from his wife and had embarked upon a period of his life that he went to great pains to keep secret. 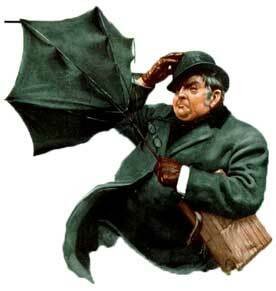 The story begins with the loss of one of the Victorian age's greatest heroes, Sir John Franklin. 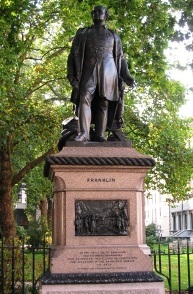 This led to a collaboration between Dickens and the writer Wilkie Collins that was intended to defend Franklin's reputation. What Dickens couldn't have foreseen as he embarked upon the project was the profound change it would bring about, not just in his own life, but also in the lives of his wife and children. For, in defending Franklin's honour, Dickens would meet with a young actress by the name of Ellen Ternan and, within a year of meeting her, would have separated from his wife and broken up the family home. The tour will cover the known facts about their relationship and will take in the various locations that they frequented together. We will discuss how his relationship with Ellen Ternan became one of the most closely guarded secrets of the 1860's, and we will reveal how, on several occasions, circumstances of fate, and the idle gossip of his acquaintances, almost made this particular aspect of Dickens secret life public knowledge. So join Richard Jones for a fascinating journey through secret lives of Charles Dickens and visit locations that have changed little, if at all, since they featured in the hidden story of the life of English literature's greatest novelist. When planning your journey to the start of the Secret Lives of Dickens tour, please allow 3 minutes for every station you will be through and then add 10 minutes to allow for any travel delays. I have always found Dickens to be a truly fascinating, though complex, person. Indeed, it is safe to say that many of those who join me on my tours around his London, feel likewise and, when I introduce the subject of his private life it often becomes an interesting and animated group discussion. 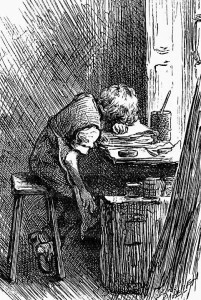 There is no doubt that Dickens was scarred by the trauma of his father's imprisonment and his own time spent working in the blacking factory. I personally believe that the feelings of abandonment he experienced remained with him for the rest of his life and were instrumental in his need to control, not just his own life, but also the lives of all those around him. Dickens was a hugely driven but, at the same time generous and charitable man. Yet his actions towards his family, and especially towards his wife, were anything but charitable. He treated her appallingly over the course breakdown of their marriage and his subsequent involvement with the actress Ellen Ternan. Yet, in some ways, it is during those last twelve years of his life, as he struggled to keep hide the details of his relationship with Ellen, that we begin to get a true glimpse of the real Dickens. The flawed genius who was only too human and whose secret life is impacted on those who were closest to him as well as upon himself. The Secret Lives of Dickens Tour can be booked as a private tour for your office social, tour group, or even as an outing with a difference for a group of friends or relatives.